Order within 1day 20hrs 29mins for delivery Tuesday 23 April using next day delivery at checkout. 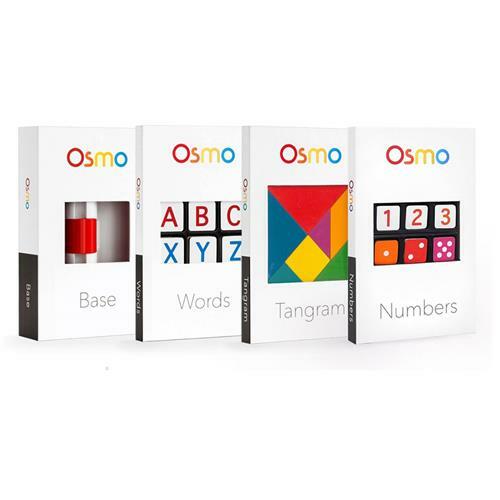 Crafted with reflective artificial intelligence, Osmo's advanced technology bridges the real and digital realms. 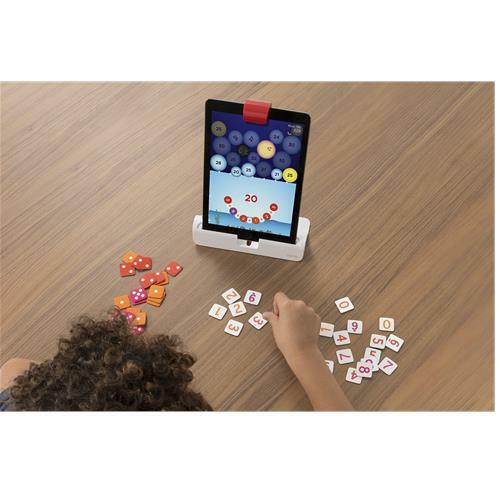 Osmo Genius Kit expands on the Starter Kit by adding on the newest game, Numbers, to the existing set of games. The full kit allows children to explore science, math, art and more. Compatible with iPad 2 and up, it comes with five incredibly fun games: Numbers, Tangram, Newton, Words and Masterpiece. 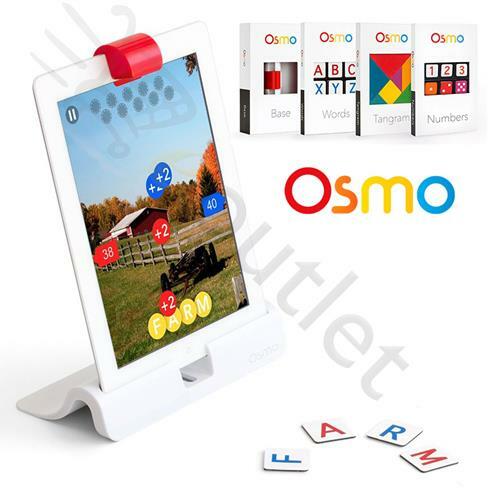 Osmo is a unique gaming accessory for the iPad that comes with games and will change the way your child plays. This product qualifies for our school education discount. Please email us if you require this item for your school. Osmo was invented by young parents out of Stanford and Google. Engineers at heart, the founders are personally committed to innovating new technologies that nurture positive play experiences for kids. Words: Be the first to guess and spell out the on-screen hidden word by tossing down real-life letters faster than your friends. A related picture gives the clue. Newton: Use your creative noggin and inventive objects like a hand-drawn basket, grandma's glasses, dad's keys, or anything around you to guide falling on-screen balls into targeted zones. Tangram: Arrange tangible puzzle pieces into matching on-screen shapes. Play with a friend or challenge yourself to more advanced levels as your handy-work lights up with each victory. Numbers: Osmo Numbers makes math fun and engaging for girls and boys. Kids arrange physical tiles, including dots and digits, to make numbers and complete levels.